Take a tableside walk on the wild side with Sunpan’s Blair Dining Chair, a clean-lined contemporary design complemented by the rugged touch of eco-friendly faux crocodile. In your choice of two bold yet neutral hues and crafted to last of sleek yet stable stainless steel with a gleaming sheen, the Blair Dining Chair by Sunpan offers lightly cushioned comfort over gently contoured curves, while making a stylish statement in the modern mealtime motif. 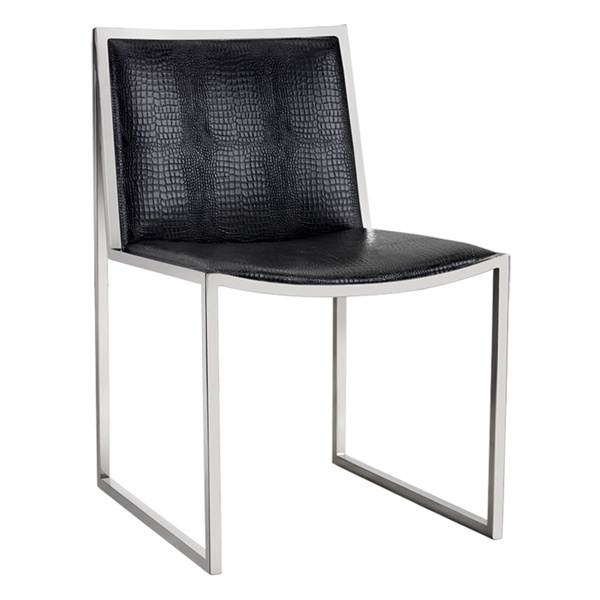 Sleek, modern design makes the chair a great choice in a contemporary dining room or kitchen. Streamlined steel frame delivers outstanding support.